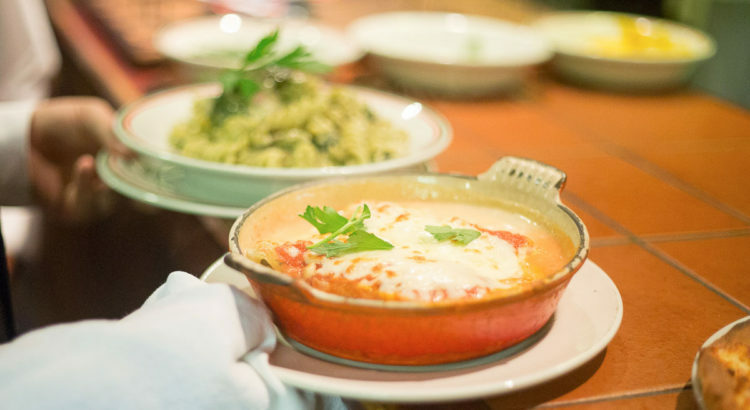 Every Wednesday night here at Villa Romana we offer diners the opportunity to fill up on our famous authentic Italian pizza and pasta dishes for less. Freshly baked Neapolitan pizzas and every single one of our pasta main courses are available at a 50% discount, Wednesday evenings from 5:30pm (excluding December). We are undisputed as one of the most popular Italian restaurants in Liverpool, having been a firm favourite with many of our loyal, returning customers for many years now. Of course, being in the heart of the city centre we welcome lots of newcomers every week as well. Quite naturally, thanks to our ongoing 50% off deal, Wednesday is one of our busiest nights every week, so if you want to come along and benefit from the special offer we advise you to book. When it comes to authentic Italian pizza do you stick to a margherita? And there are plenty more besides those as well. If you come with a friend, why not order something you haven’t tried before to share? As well as offering pizza and pasta at a 50% discount, our entire menu is, of course, still available on Wednesday evening. A starter, a dessert or a refreshing Italian salad are all excellent accompaniments to your main. Ours is a city with a huge Italian population, so there are lots of Italian restaurants in Liverpool. Faced with such choice, make your reservation at one of the longest established and best loved. Make it Wednesday and we’ll even give you 50% off pizza and pasta!